About a month ago I gor a fancy schmancy Apex DOS stepper dosing pump.. I was previously using a Jabeo dosser however, unplugged it once i got the calcium reactor going. I decided to get back on weekly testing and stocked up on test kit refills..
For the first time since cycling my tank I decided to test nitrates and found it was much higher than i would have liked. I used a red sea test kit..and was way off the charts for the low range test.. I then repeated the test in the “high range” mode and it read some where beteween 16 and 32…. 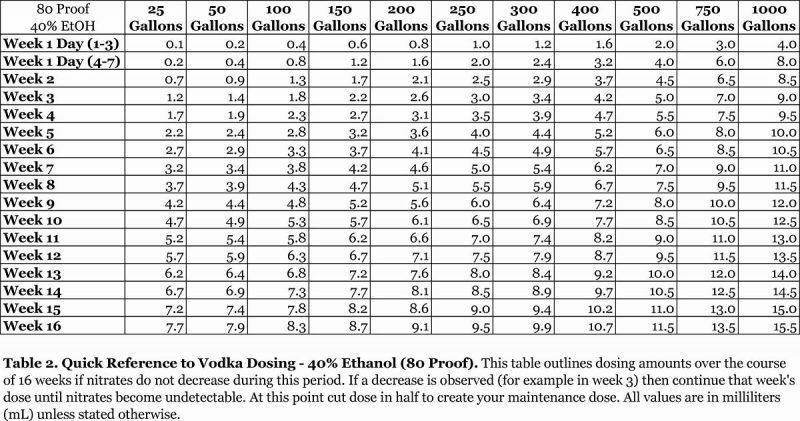 So i decided it was time to try Vodka Dosing! Ill update this post as i go to keep you guys updated on how it goes! Week 1: Day 3: 02/12/2016 Upped my dose to 1ml/day. Do you want to Win a JellyFish Tank? Jelly Fish Nano Tank log P2: The Jellys have arrived!